A cactus stood all alone in the desert, wondering why it was stuck in the middle of nowhere. “I do nothing but stand here all day,” it sighed. “What use am I? I’m the ugliest plant in the desert. My spines are thick and prickly, my leaves are rubbery and tough, and my skin is thick and bumpy. I can’t offer shade or juicy fruit to any passing traveler. I don’t see that I’m any use at all.” All it did was stand in the sun day after day, growing taller and fatter. Its spines grew longer and its leaves tougher and it swelled here and there until it was lumpy and lopsided all over. It truly was strange- looking. “I wish I could do something useful,” it sighed. By day, hawks circled high overhead. “What can I do with my life?” the cactus called. Whether they heard or not, the hawks sailed away. At night the moon floated into the sky and cast its pale glow on the desert floor. “What good can I do with my life?” the cactus called. The moon only stared coldly as it mounted its course. A lizard crawled by, leaving a little trail in the sand with its tail. “What worthy deed can I do?” the cactus called. “You?” the lizard laughed, pausing a moment. “Worthy deed? Why, you can’t do anything! The hawks circle way overhead, tracing delicate patterns for us all to admire. The moon hangs high like a lantern at night, so we can see our ways home to our loved ones. Even I, the lowly lizard, have something to do. I decorate the sands with these beautiful brushstrokes as I pull my tail along. By you? You do nothing but get uglier every day.” And so it went on, year after year. In this life we often feel worthless. Feel there is nothing useful to do. 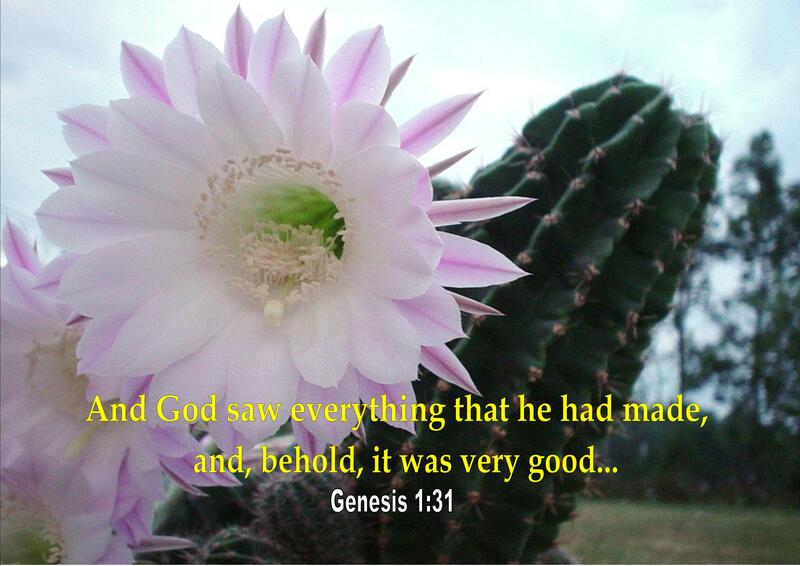 But this story tells us, God already has a plan in our life and all of God’s creation is a feasible and worthwhile. Sometimes we think like that cactus. But if we truly believe that God already had a plan for our lives, although initially seems useless In accordance with God’s time everything will look worthwhile. There is nothing useless and worthless in GOD. I strongly believe that this post has been read by millions of readers in the internet. But I think it is still worth to us to read it again. This is a depiction of how great the parents’ love to their children and it is a reminder to us to always honor and love our parents. 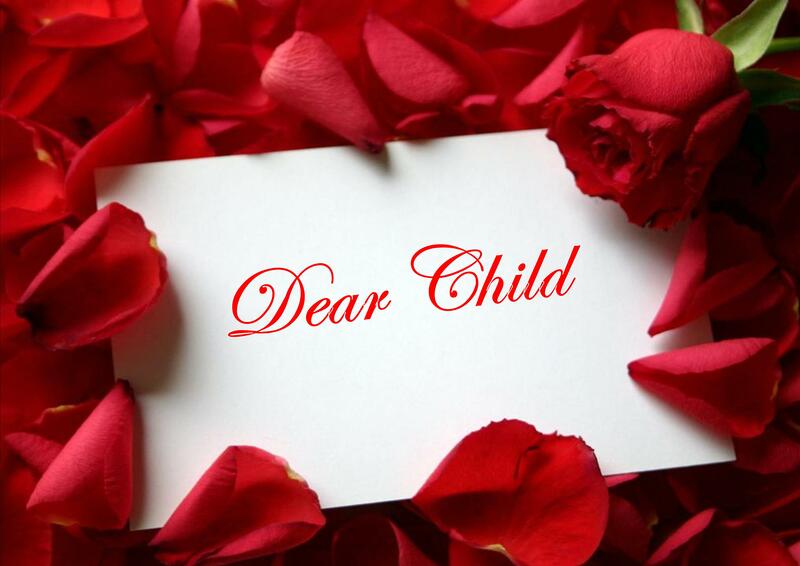 Few days ago my Mom gave me a big picture with the title “A letter from Mom and Dad.” It picture contained with these beautiful words and makes my tears dropped. Mom and Dad, thank you for this beautiful reminder. I really love you so much. When I grow old, I hope you understand and have patience with me. In case, I break a plate, or spill soup on the table because I’m losing my eye sight. I hope you don’t yell at me. Older people are sensitive, always having self-pity when you yell. When my hearing gets worse and I can’t hear what you’re saying. I hope you don’t call me, “Deaf.” Please repeat what you said, or write it down. I’m sorry, my child. I’m getting older. When my knees get weaker, I hope you have the patience to help me get up. Like how I used to help you while you were little, learning to walk. Please bear with me. When I keep repeating myself like a broken record, I hope you just keep listening to me. Please don’t make fun of me or get sick of listening to me. Do you remember when you were little and wanted a balloon? You repeated yourself over and over, until you got what you wanted. Please also pardon my smell. I smell like an old person. Please don’t force me to shower. My body is weak. Old people get sick easily when they’re cold. I hope I don’t gross you out. I hope you can be patient with me, when I’m always cranky. It’s all part of getting old. You’ll understand when you’re older and if you have spare time, I hope we can talk, even for a few minutes. I’m always by myself all the time, and have no one to talk to. I know you’re busy with work. Even if you’re not interested with my stories, please have time for me. Do you remember when you were little? I used to listen to your stories about your teddy bear. I’m sorry. If I wet the bed or make a mess. I hope you have the patience to take care of me during the last few moments of my life. I’m not going to last much longer, anyway when the time of my death comes, “I hope you hold my hand and give me the strength to face death and don’t worry. When I finally meet our God in the heaven ………………..I’ll whisper in His ear ………………….. “Please bless my child”. because you loved your mom and dad. I never get bored talking about the firmness faith in the face of all the difficulties of life. I hope the readers will also not get bored reading it. Almost every day I receive an email from many friends and others those talks about the life’s problem that increasingly difficult day by day. Why do we have to experiencing suffering and hard times? It may be a question of most people, including among believers as well. There are many among us who have wrong concept and think that following Jesus means totally free from suffering and difficulties. That’s why there are people who have their own motivations for worship. It is not wrong to ask God’s help, and God Himself promises so many blessings, miracles and He help to anyone who cries out to Him in Christ. But we cannot deny that somehow there are times where we have to go through difficult situations, full of painful thorns. Whether God like to torture us any time? Of course not like that. God is never pleased to see His children suffered. If He pleased, He did not bother to sacrifice His Son, to ensure our salvation. When we are facing so many difficult situation and should experiencing suffering and hard times, let’s take a look at how the pressures faced by believers who can be so terrible in many parts of the world. Repressive forms even of torture to assassination experienced some of us from time to time. Furthermore, we can see there are so many great figures in the Bible who experienced terrible suffering. I am not quite sure the suffering that we experience today is as daunting as they were suffering at the time. Let we take a look to James. Whether James was in good condition when writing this? No. He had seen with his own eyes how terrible persecution and cruel tortures to death meted out to the people who maintain their faith in Christ, including also himself. James proved his obedience even unto death. We see James murdered by Herod orders with a sword.”He had James, the brother of John, put to death with the sword.” (Acts 12:2) But the fact, from James we can see the call of God about how we should address the various trials. James urges all believers to face all trials and tests with joy, faith and optimisms. James just as we are, never expect the hard times, but he reminds us not to lose a handle and keep addressing the difficult conditions with a joyful heart attitude. Why? Because in the tough times, whether it relates to financial difficulties, physical and psychological health problems, relationships, careers or jobs, education, etc, when we deal with it all by faith ,then it becomes a great opportunity for us to be able to be humans with the mature and adult spiritual. Any testing that we face will produce perseverance and will bear the ripe fruit. That is why it is important for us to respond properly the difficult situations that are present in our lives. Above all of it, we must know that in such any circumstances God never leaves us. Faithfully He continued to be with us, even in the darkest circumstances. Psalm said, “Even though I walk through the darkest valley, I will fear no evil, for you are with me; your rod and your staff, they comfort me.”(Psalm 23:4) No matter how serious the problems we face, the consolation of God always provided for us. So my dear brother and sister in Christ, by persevering in a difficult situation and filled with trials, the problem of life is getting tough day by day; we will be crowned by crown of life. 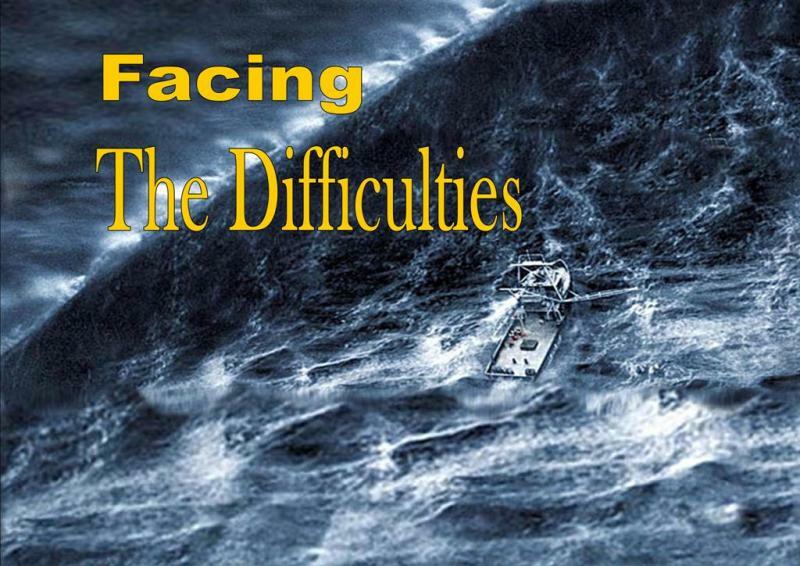 Persevere and endure when we are facing difficult situation is not easy. Not as easy as flipping a newspaper page. But if we always rely on the power of God, put our faith and trust in the presence of God, there will always incredible strength that allows us to endure. Take every problems, difficulties, and trials into our prayer. Ask the Lord so that we are always given the strength, wisdom, unwavering faith, and give thanks in all circumstances. Weeping may stay for the night, but rejoicing comes in the morning. Psalm 30:5. Amen. Bringing honor to her Lord. Been this month I go deep into the book of Habakkuk. Like from another Bible figures, I learned so much about faith from Habakkuk. This is the second post based on the book of Habakkuk. The first is Feet like the Feet of a Deer. As usual I try to relate it to our daily lives. “O Lord, How long shall I cry, and thou wilt not hear!”(Habakkuk 1:2) This is was Habakkuk’s cry when evil was rampant in the land of Israel. He size up that God was doing nothing. What was done by Habakkuk at the time was not much different from what we usually do at this time. I don’t know how many times we complain to God when there are so many problems and afflictions in our lives. When we cannot see evidence of God at work, or are puzzled by the unfolding His providences, often times we tend to draw the wrong conclusions and we start complain to God. “Lord, are you not from everlasting? My God, my Holy One, you will never die. You, Lord, have appointed them to execute judgment; you, my Rock, have ordained them to punish. Your eyes are too pure to look on evil; you cannot tolerate wrongdoing. Why then do you tolerate the treacherous? Why are you silent while the wicked swallow up those more righteous than themselves?” (Habakkuk 1:12-13) This is the Habakkuk’s second complaint. He did not understand why God the Holy One could keep silence to see the wicked to destroy His people. There is important thing that we can learn from Habakkuk. Even though he was complaining and do not understand and also have limitation to be able to dive into God’s plan, he’s still waiting for God’s answer to his complaint. “I will stand at my watch and station myself on the ramparts; I will look to see what he will say to me, and what answer I am to give to this complaint.” (Habakkuk 2:1) This means that Habakkuk still rely on the God’s power and, and he believed that God would doing something. Finally he became satisfied that God is sovereign and that all should bow before Him. 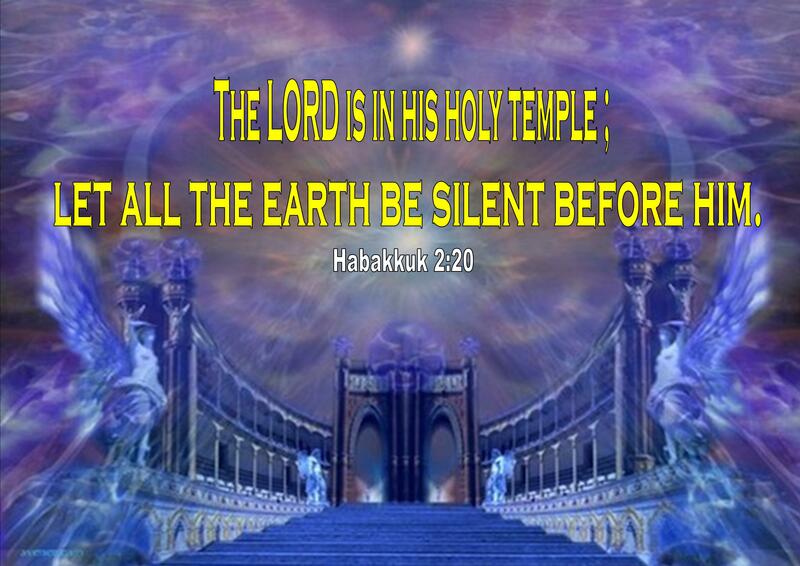 “The Lord is in His Holy Temple” this is comforting and reassuring us. Maybe we faced so many things that make us confused, worry and fear; we face so many problems and affliction but we should to remember that the Lord is in His Holy Temple and He is still reigning. Every problem and affliction that comes to our lives is under His control. If we know that everything is under His control, why we should to complain? “Let all the earth keep silence before Him” Knowing God has a purpose in our problems and trials gives us hope. Indeed, by our problems and afflictions we will be made more holy, more like Christ, and God will reveal to us more of Himself. At the end of the book of Habakkuk, we saw how great his faith. Habakkuk’s faith is a faith that is not shaken by any situation, even in his lack of understanding of God’s decision he is still faithful. When he prays, he ended his prayer with firm faith. He said, “Though the fig tree does not bud and there are no grapes on the vines, though the olive crop fails and the fields produce no food, though there are no sheep in the pen and no cattle in the stalls, yet I will rejoice in the Lord, I will be joyful in God my Savior. The Sovereign Lord is my strength; he makes my feet like the feet of a deer, he enables me to tread on the heights.” (Habakkuk 3:17-19) Take a look at a form of faith that even in a state of crisis, stress, fear, threat seems terrible, still able to make Habakkuk joy and rejoice in the Lord. Habakkuk attitude is based on faith fully surrender to God’s decision. Despite his situation will probably continue to be more severe, but his faith in God does not waver. 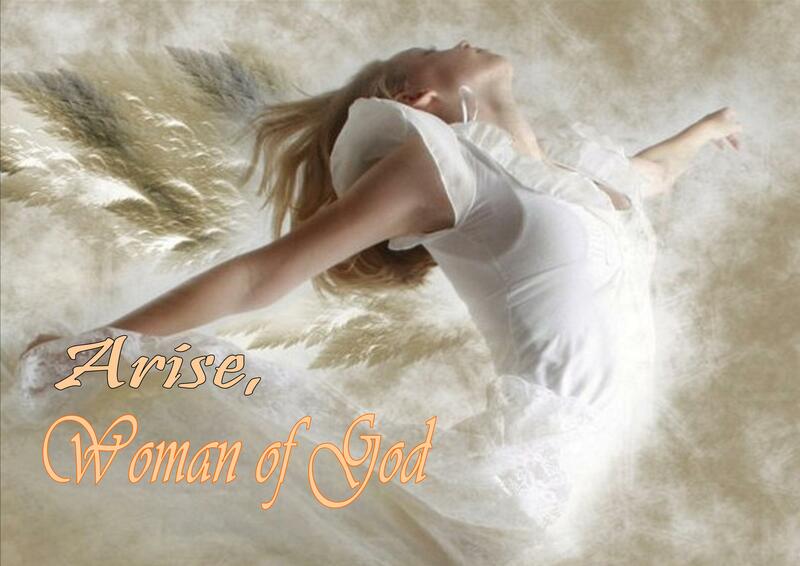 He still rejoices in the God who saves, and it all happened because he made God ​​as a source of his strength. My lovely friends, Is there this day we are shaken by the difficulties facing an increasingly difficult situation? Whether our faith began to waver due to pressures that continue to hit us, increasing the difficulties of life, problems that do not have a way out? Do not be discouraged. We can learn from Habakkuk. Have firm faith like Habakkuk. Totally believe in the Lord with all our heart. God is able to equip us to be able to face all the problems, all the uncertainties in life, because God is the source of our strength. Have a strong faith as a basis in our life. Do not ever rely on our own strength. We must remember that the existence of God is always faithful to accompany us with His unlimited power; His strength was never under the control of the difficulties we face. Everything is in His control. Let we keep silence before Him. Amen. This post was inspired by my blog friend from Indonesia. Few days ago she shared her problem in choosing. She was in the intersection and had to choose which one is best for her future. The point is she was confronted by two choices. Keep doing her current job with the consequences of the assured financial condition or doing another job which according from her heart calling but with the consequences of uncertain future and financial condition. She was very anxious about it. Life is full of choice? Yes! That is right. Every day and every moment in this life, we are always faced with a choice. This is a problem because sometimes run into difficulties when it comes to choosing from the many offered. 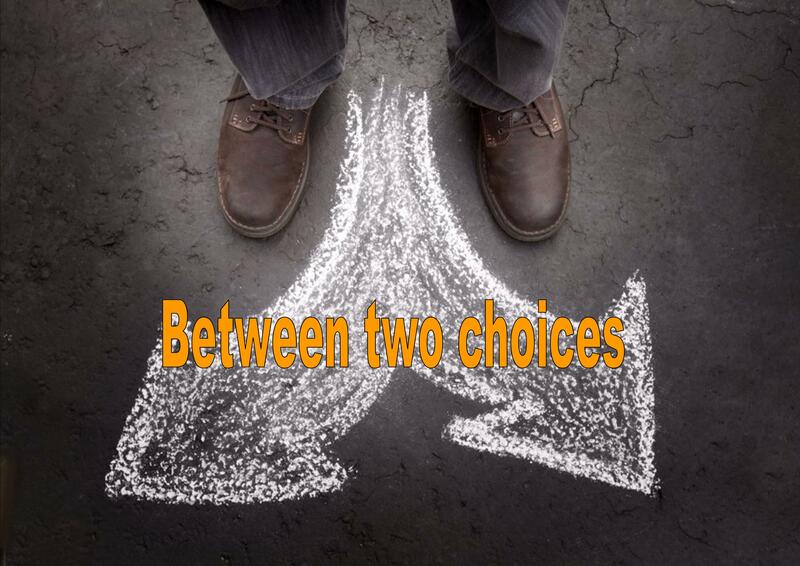 Make a choice between two things would be easier if both options are available equally well. But if we had to choose two things which contain the risks, it would be very difficult. At first glance, this verse does not seem related to the choosing, but this paragraph is a precept by which we accept God’s answer in choosing and deciding something. “After Lot separated from Abram, the Lord …” This means that before Abram parting with Lot, the Lord has not spoken to him. Why is that? Whereas before the Lord himself who called Abram to leave his country and promised a better country. Abram took a right decision, which is more closely to follow what the Lord says. But when Abram leaves his country and follow the commandments of the LORD, he brought Lot (Lot is a picture of the flesh or lust). We are called to be followers of Christ and respond with the right decision to follow Him. However, there are few people who follow Christ still bring their flesh and lust. So when faced with the choices in this life, we are forcing the Lord so that He answer what we ask to Him. Whereas the position is still in our flesh, the Lord will not answer what we ask to Him. Why? The above verse clearly says that after Abram parted with Lot, then the Lord spoke, and gave His instructions. So, before asking the Lord for to take a decision, have we left a life of our flesh and lust? Heart calls or God’s calls? I don’t know exactly what kind of my friend’s heart calls. Follow our heart call is good. But we should consider and think whether it calls according with God’s will or there are elements of the flesh and lust in our hearts calls. Because making a choice which based on lust with choices based on the will of the Lord is the opposite. Because if every time the Lord answered and provide the best choice, if we are still alive within our flesh and lust, surely we would follow the flesh and not on what the Lord says. Calls of the heart which does not in accordance with God’s will would become calls in accordance with our selfishness. The important thing is not which one should we choose, but the most important is when determining a choice, have we actually parted with our flesh? In determining a choice, we should not be selfish. For the Lord said to wherever or whatever we choose, it’s all going to be given to us and our descendants. “This day I call the heavens and the earth as witnesses against you that I have set before you life and death, blessings and curses. Now choose life, so that you and your children may live.”Deuteronomy 30:19. So in choosing, we should also remember our abilities. Appropriate or not with our own existing capabilities. The other thing to remember when making decisions is after looking around (not selfish), we should ask for blessings sufficiently. However, this is often forgotten. We need to know that the Lord will never make us regret, because God has many ways to change or improve things, including our decision that not appropriate for us. So do not be afraid to make decisions when we are already separated by “Lot”. Even if one day we make decisions that were not appropriate, the Lord will lead us to the better choice. If the choices we make are not based on flesh, aim to glorify God, are not rely on our own strength and wisdom, and according to God’s will, then what we choose or decide it will give you satisfaction. And if it is not a perfect choice, Our Lord will make it perfect for us, as He did to Paul. Amen. What such a surprise for me! A few days ago my fiancé returned from a business trip from America and he bought me a pearl necklace. When I opened it necklace’s box there is a letter. When I read it, I can’t hold my tears. I am moved and crying. 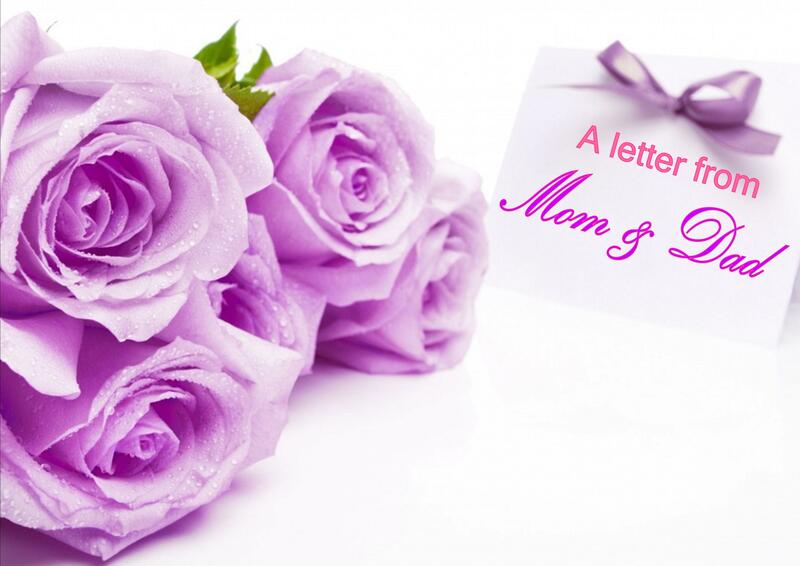 The letter is not a love letter from my fiancé but it was more than the love letter. This evening I would like share it to all of you. Here’s the letter. I just wanted to remind you today of how beautiful you are because there is a father of lies who will try to deceive you. He will try to tell you that you are not good enough, not attractive enough, not thin enough, not strong enough, not smart enough, not righteous enough, and that you are simply unimportant to Me. He will try to tell you that you have broken one too many promises, that you have fallen one too many times, that you have lived one too many lies, and that you’ve been going in the wrong direction so long that it is pointless to turn back now. But guess what? You do not belong to him. He is not your father. I am. You see, you are My creation. You are My workmanship. You have been borne of My thought, every part of you placed together by My hands. You have My thumbprint upon you. You are a princess, did you know that? You are My child, the daughter of THE King! I look at you and see a precious, priceless pearl. There is no ocean I would not swim, no mountain I would not climb, and no price I would not pay to have you and to be with you and call you my own. I already have. I have done all that I could, given all that there is. I desire to be with you every moment of every day. How I longs for you to talk to Me every day. My love for you never grows cold. My promises are never broken (contrary to what he might lead you to believe). My character never changes. And you, my daughter have been made in My image. I love you dearly, unconditionally and completely. I understand every emotion that you have. I’ve been there. I count every tear that you cry. I know every hair on your head. And do you know what? I even know your weaknesses and your failures and your fears. I know those hidden parts of you that you wish would go away. Those dark corners of your world that you stuff deep down, praying that no one will ever see. I have already seen them and they will not change my love for you. Nothing will. I love your heart and I desire all of it. I just wanted to remind you today of how beautiful you are and how precious you are to Me.